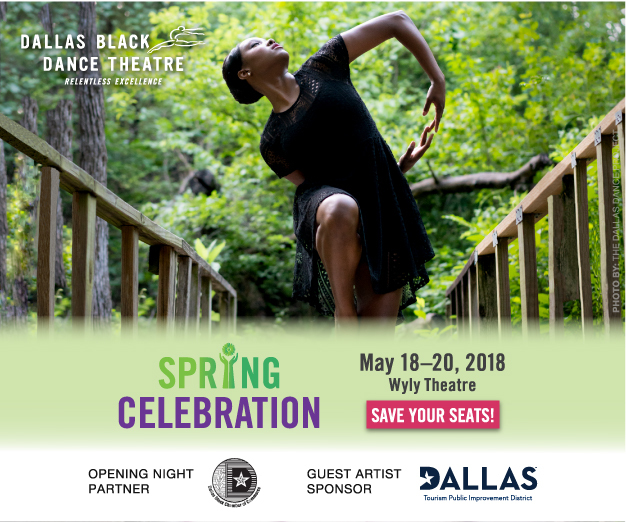 Dallas Black Dance Theatre (DBDT) partners with Dallas Black Chamber of Commerce (DBCC) as it closes its 41st season with the Spring Celebration Series May 18-20, 2018, at the Wyly Theatre, Dallas, Texas. The partnership is part of an initiative for DBCC members to understand the significance of the arts on the community and the business sector. The Dallas Tourism and Public Improvement District is the guest artist sponsor for the performance. Dallas Black Chamber of Commerce members will receive a promo code that reduces the price of DBDT orchestra level seats by 20 percent.